Column "A" have value 'xyz','abc','pqr'. Now i have used pagebreak on group. Now i want to create a sheet per value with name 'xyz','abc','pqr'. but no success,its still show "sheet1,sheet2"
Just to clarify: you are trying to have the Excel tabs change from 'sheet1' to 'xyz'; not apply a label to the top of the report? That solution is outside of my skill set. I would like to see the solution if there is one. Different emitters use different techniques for naming sheets (quoting from that link: "This is only for the commercial version of the Excel emitter."). Which emitter are you using? For the SpudSoft emitters the sheet names come from the name of the table that caused the page break. It really does depend on the emitter you use. For the SpudSoft emitters sheets within a group can be set using the table of contents entry for the group. What is an emitter and how do you know which one you are using? Emitters are a type of BIRT plugin. Emitters are responsible for taking the processed report structure and converting it to the output format you want. So one emitter is responsible for generating Excel format files, another emitter is responsible for generating PDF files. The built-in Excel emitter in Open Source BIRT leaves a lot to be desired, so there are quite a few alternatives (in fact, if you google "BIRT emitters" the first page is entirely replacement Excel emitters - some free, some not, and some repeated). If you haven't installed a custom Excel emitter, and noone else has either, then telling us which version of BIRT (including whether it's open source BIRT or an Actuate product) you are using should suffice. If you are working with an installation that someone else is in charge of it can be more difficult to tell. Are you able to post your report design? You have a group within a table and you want the sheet names based on the group, yes? I'll see if I can knock up an example for you. The report design has two levels of grouping, but only does page breaks on the higher level (country). It is that table of contents expression that controls the sheet names. I too used BIRT 4.2.1, and "uk.co.spudsoft.birt.emitters.excel_0.8.0.201211020842" emitter file and tried running your "rptdesign" file with the same parameters as in your post, yet it is creating only a single sheet for me, i am unable to see multiple sheets as in your attachment. Can you please let me know if it is the correct emitter file or am i missing something? 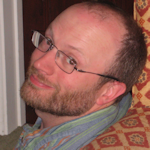 Can you post your XLS file? Or can you say whether you get the warning about file type and extension from Excel when you open the file? My first suspicion is that you aren't using my emitter. This is an old thread so you might want to start another one. You'll need to let us know what version of BIRT you are using? 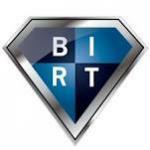 Also, open source BIRT, or commercial BIRT? What Excel emitter are you using? Thank you!!! Works Properly for me.